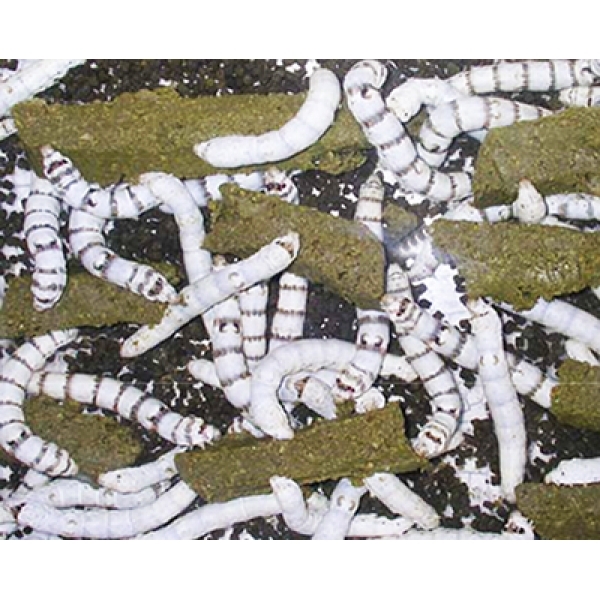 Until now it has not been possible to rear silkworms without their natural foodplant Mulberry. Mulberry is often difficult to find but we are now able to offer a very convenient artificial diet that can be used as a substitute food, in any part of the world and at almost any time of the year, providing you can keep the silkworms at 25-28 degrees C. Eggs supplied in November/December will need to be refrigerated for 8-12 weeks before incubation. Artificial diet takes a lot less time and trouble than rearing on leaf. More importantly this enables rearing when Mulberry cannot be obtained. Eggs supplied in November - January will need to be refrigerated for 8-12 weeks before incubation. Rearing Silkworms is very educational and suitable for schools and families.